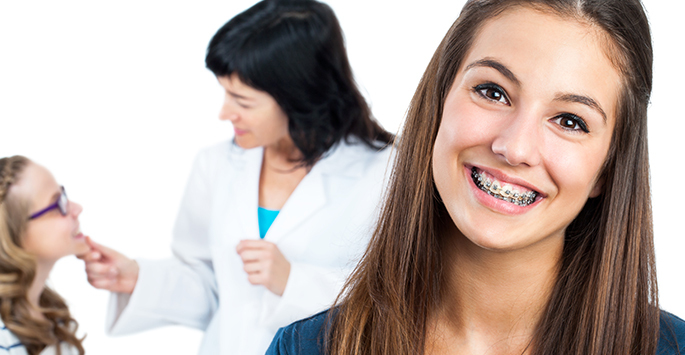 When adolescents and adults have crooked teeth or a misaligned bite, braces are a common orthodontic treatment to correct these dental issues and create an attractive smile. At Tenn Yuk Orthodontics, we provide traditional metal braces and other teeth straightening options for patients depending on their individual conditions and preferences. Located in Palm Beach Gardens, Florida, Tenn Yuk Orthodontics is led by licensed orthodontistDr. Kevin Tenn Yuk. Contact us today to schedule a consultation and find out if you are a candidate for braces. Difficulty maintaining oral hygiene with flossing and brushing, increasing the likelihood of developing decay, gingivitis, and cavities. The necessity of braces is determined on a case by case basis, and at Tenn Yuk Orthodontics, we utilize the advanced iTero® scanner to create high-resolution 3D images of patients’ mouths, ensuring proper diagnosis and treatment. Once Dr. Tenn Yuk has a complete image of your mouth, he will evaluate your teeth alignment and bite to determine if braces are the best course of treatment for you. If you qualify for braces, a customized treatment plan will be created for you based on the condition of your teeth as well as your preferences. Contact Tenn Yuk Orthodontics today to schedule a consultation and find out if you are a candidate for treatment with braces.